Treasure Hunts, (or Scavenger Hunts or Treasure Trails as they are sometimes known), are a great way to explore and to spend an hour or two with friends or family. If that's what you're looking for you're in the right place. Here you'll find all sorts of treasure hunts all over the UK and most of them are free to download. OK, the site is new and we currently only have a few but if you live near these areas or you are visiting the areas, give them a try. If not, visit us again soon when we will have many more to choose from. Want something different for a birthday. Do one of our treasure hunts. They're a fun way to celebrate and something that all the family can join in with. For a small fee, we can tailor a treasure hunt as you want - Include the name of the birthday girl or boy, include extra questions about them, anything you want. Given enough notice, we can even tailor make a whole treasure hunt in the location of your choice. Planning a Stag or Hen Party. Include one of our treasure hunts. They're a great group activity and something that all ages can enjoy. A great way to explore the area so you know where to go and what to do later. Personalisation - For a small fee, we can tailor a treasure hunt as you want - Include the name of the bride or groom, include extra questions about them, include tasks or dares, anything you want. Given enough notice, we can even tailor make a whole treasure hunt in the location of your choice. Include one of our treasure hunts. They're great for team building. Personalisation - For a small fee, we can tailor a treasure hunt as you want - Include your company name, include extra questions, include tasks, anything you want. Given enough notice, we can even tailor make a whole treasure hunt in the location of your choice. In some locations we can even meet and greet you and organise the event and accomodation etc if you require it. We can also provide actors and put a theme around a treasure hunt. Why not use one of our hunts for a fund raising event. We can change some of the clues so that the answers are not available to participants and we can personalise the title. Minor changes we normally do free for charities, although for more time consuming changes we will charge a small fee. Given enough notice, we can even tailor make a whole treasure hunt in the location of your choice. Simply pick a hunt and download the pdf document containing the questions. Bowness on Windermere, The Lake District- Approx 1½ miles, 1-1½ hours. Haworth, West Yorkshire- Approx 2½ miles, 1-2 hours. Idle, West Yorkshire- Approx 1½ miles, 2 hours. 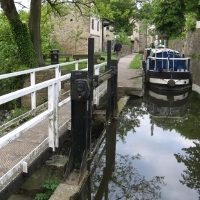 Skipton, North Yorkshire- Approx 3½ miles, 2-2½ hours. Staithes, North Yorkshire- Approx 1¼ miles, 1-1½ hours. Haworth Central Park, West Yorkshire- A stroll around the park. Suitable for 5-10 year olds. Driving - Get in your car and follow the clues to work out the route. Cycling - Mainly on quiet roads and off road, enjoy the countryside while answering the questions. If you have written a treasure hunt that you would like to share with others, please send us details via our online form. Please only send us your own material and not any that has been copied from others. Here are some links that may help you find other things to do.